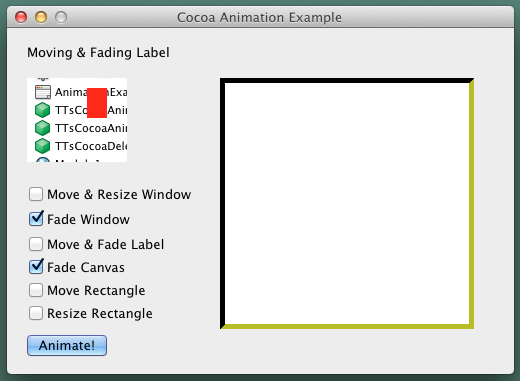 When building OS X apps with Xojo for Cocoa, we can make use of the Cocoa NSAnimation API. I have written a self-contained class (TTsCocoaAnimation) for fading, moving and resizing windows and controls in Xojo Cocoa applications. Tested with Real Studio 2012r2.1 and Xojo 2013r3.3.